The appeal of Canadian penny stocks is no different in November 2017 than it was in November 2007: Investors are looking to add to the aggressive portion of their portfolios and turn to the higher-risk strategy of buying speculative Canadian penny stocks. However, there are several potential risks when investors venture into penny stocks. That’s especially the case given some of the market volatility investors experienced for the first few months of 2016. Despite a surge in prices for 2017, that risk is likely to remain in 2018. ”Penny stocks have appeal for some aggressive investors who aim to get into fast-growing stocks at what they describe as ‘the ground floor.’ They think the best way to profit in stocks is to buy them when they are just barely starting out on a growth phase that can last for years if not decades…” Get your free complete guide to investing in Canadian penny stocks. Keep in mind that investing is different from many other pursuits in one crucial way: doing the wrong thing as an investor can actually make money for you, but only temporarily. Buying low-quality Canadian penny stocks is one of those things that can appear to be successful before it goes badly wrong. Some get hooked on it, since low-quality stocks can be highly profitable over short periods. That’s because they are generally more volatile than high-quality stocks. Here are 2 of the biggest risks you face when you invest in lower-quality Canadian penny stocks. They existed in the days leading up to the 2007/2008 crisis. And they exist in the relatively bullish market of late 2017. Low-quality Canadian penny stocks are quick to fall when a bubble bursts: Investors in 2017 are less concerned about the possibility of a market correction and the impact on well-established. But a decade and a half ago, buyers of Internet start-ups made far more profit than investors who stuck with well-established companies. The same thing happened when many investors bought low-quality resource stocks in 2007 and 2008, and it has happened in the past in penny stock bubbles. When the bubble bursts, however, prices of low-quality stocks inevitably come crashing down. After all, it’s much easier to launch a stock promotion than it is to create a successful, lasting business. 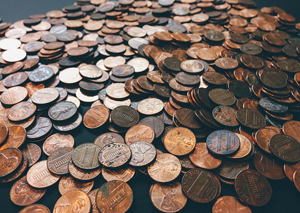 Penny stocks tend to be more speculative, and are engaged in such things as finding mineral deposits that can be mined at a profit, commercializing an unproven technology or launching new software. The longer you play, the likelier you are to lose: If you lose money in speculative or other low-quality stocks (or ETFs that invest in low-quality stocks), you may think your main mistake was bad timing. That’s a misconception. You can get lucky in penny stocks, just as in lotteries. But if you play long enough, the “house odds” eventually triumph over any run of luck. In penny stocks or games of chance, the odds are against you. The longer or more often you play, the likelier you are to lose. Canadian penny stock promoters love to make deals with major, household name companies. They find it far, far easier to sell stock to the public if Barrick Gold, BHP Billiton or some other major mining company has agreed to finance exploration of their mining claims, or if Apple or Intel or some other household-name multinational has agreed to evaluate their revolutionary software or “cloud” application. The link with a major gives them instant credibility, especially with investors who are willing to buy penny stocks. When they get a deal with a major, promoters go to great lengths to make it seem bigger than it is. Instead of announcing that the big company has invested, say, $50,000, penny stock promoters may issue a press release that says the two companies have entered into a “multi-stage development plan”. The release may say the major has agreed to spend “up to $10 million” or whatever. It will usually provide a toll-free number or an online link for investors who wish to order the enticing brochures. In fact, when a penny stock shoots up on the news of big-company involvement, and the property/program/revolutionary software is still in the early stages of development, it’s often a good time to sell. Ultimately, Canadian penny stocks should always be a small part of any diversified portfolio. You should only buy them with money you can afford to lose. The third element in our strategy is crucial in avoiding stock scams. These penny stock promoters focus on companies that aren’t likely to go anywhere, and merely have an indirect connection with some trend, development of industry that is getting a lot of media attention. It takes a lot more than that to create a profitable business or investment. But if you let the media hoopla taint your investment decisions, you increase your risk of blundering into a promotional stock like pot o’ gold. Do you hold any penny stocks that are standouts for you in 2017? This article was originally published in 2014 and is regularly updated. The chances of the penny stocks out there ever becoming “famous Penny Stocks” are extremely remote. Here’s why. consumer, gold, mining, resource stocks, stocks, dividend, diversified portfolio, dividend stocks, main economic sectors, apple, Penny Stocks, Bullish Market, market correction, canadian penny stocks, economic sectors, investing, penny stock promoters, buy penny stocks, high quality stocks, investment, portfolio, stock promoters, stock promotion, successful investor, canadian, canadian penny stock, intel, o. The points you raise in this article are very valid, which is why it’s important that traders protect themselves as much as possible when trading penny stocks. We get many newbie traders come to us that ask “I’m thinking about trading penny stocks, what do I need to know?” Two pieces of advice we always provide is to utilize stop-loss orders, as this will ensure any loss that is made is kept to a minimum, and to stick to penny stocks that have large daily trading volumes. We wouldn’t recommend completing a trade that exceeds 1/1000th of the total daily volume, as if the “bubble bursts,” as you put it, you could get stuck with a stock that you don’t want, but can’t get rid of. Trading has always been one of the challenging task. specially when you need to check out the details with respect to a specific company. Suppose I am checking out for Gala Global Inc market.Gala global Inc is a reputed companies and is really one of the best choice to invest.